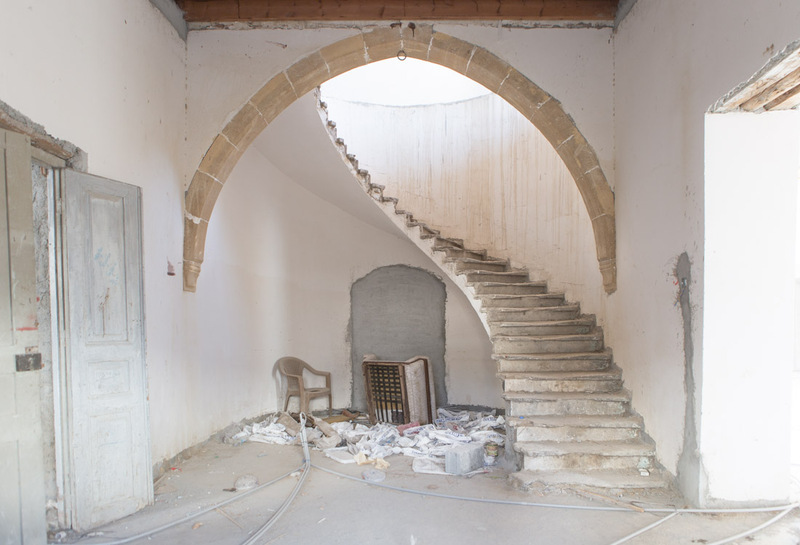 Nicosia South. Barriers to prevent access to the green line. 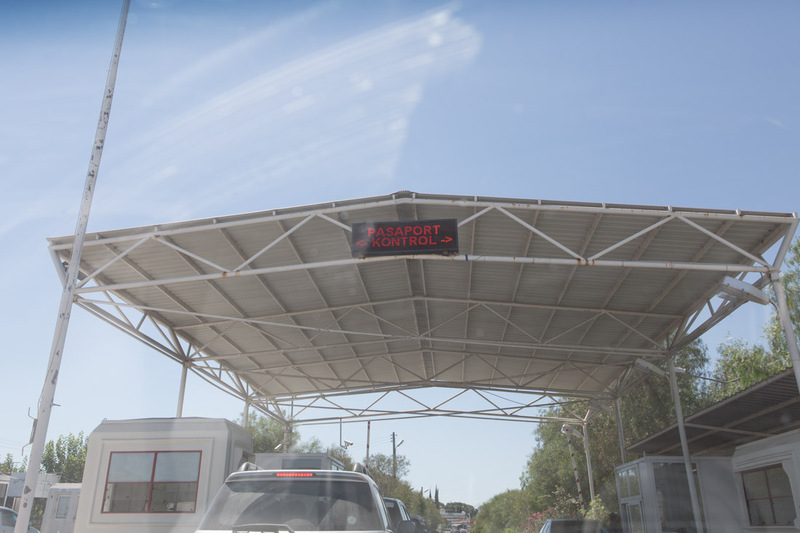 Each year, according to UNFICYP reports, within the demilitarized area take place around a thousand accidents, from simple provocations to real shots of gunfire. North Cyprus. 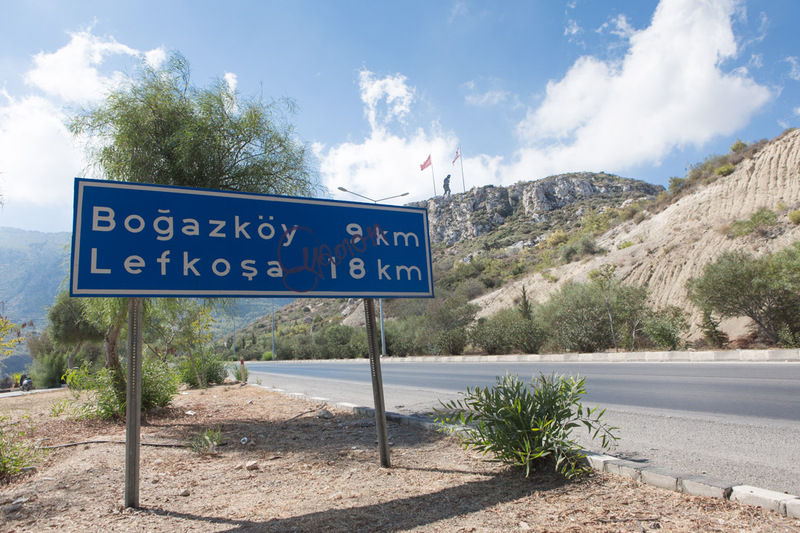 Directions for Nicosia in the Turkish language. Two Russian tourists walking through the streets of Paphos. 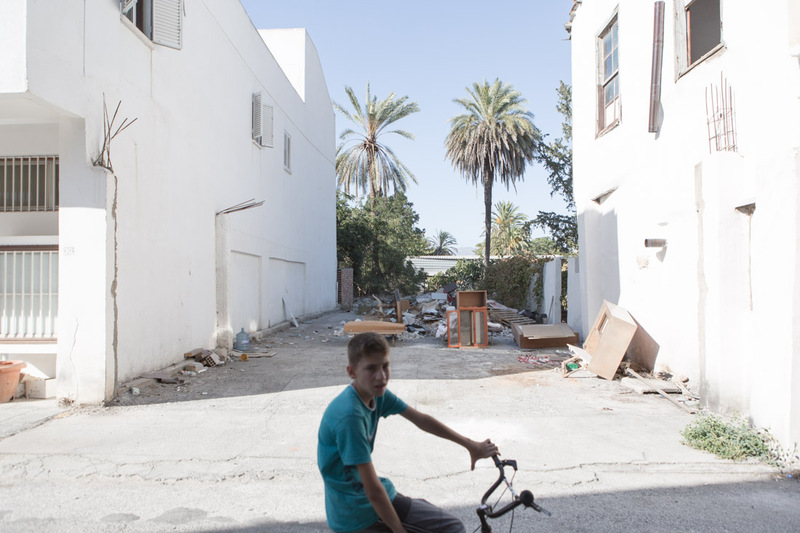 North Nicosia, a child on a bicycle. Nicosia, a view from above. One of the seven checkpoints to cross the green line. 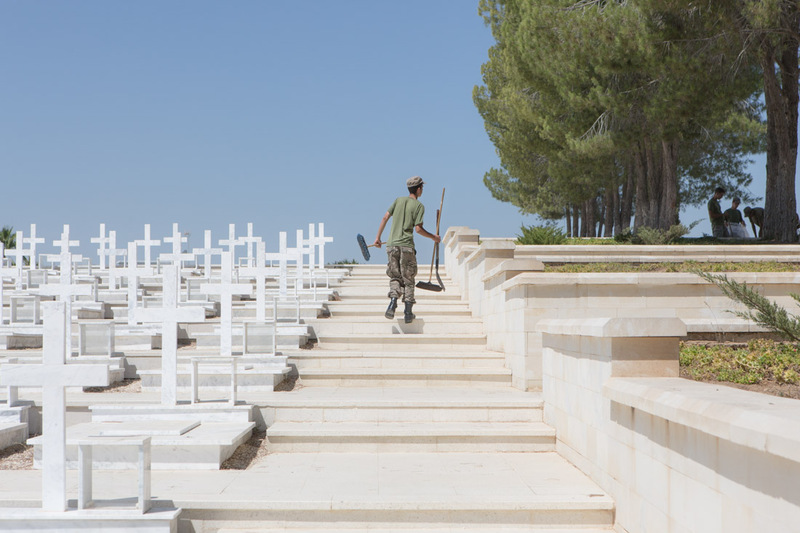 The military cemetery Tymbos Makedonitissa of Nicosia. Inside there are the tombs of the Greek and Cypriot soldiers who were killed in the 1974 riots. The economic crisis that began in 2012 led to the sale of land and buildings at a price very favorable to foreign financial companies and groups. 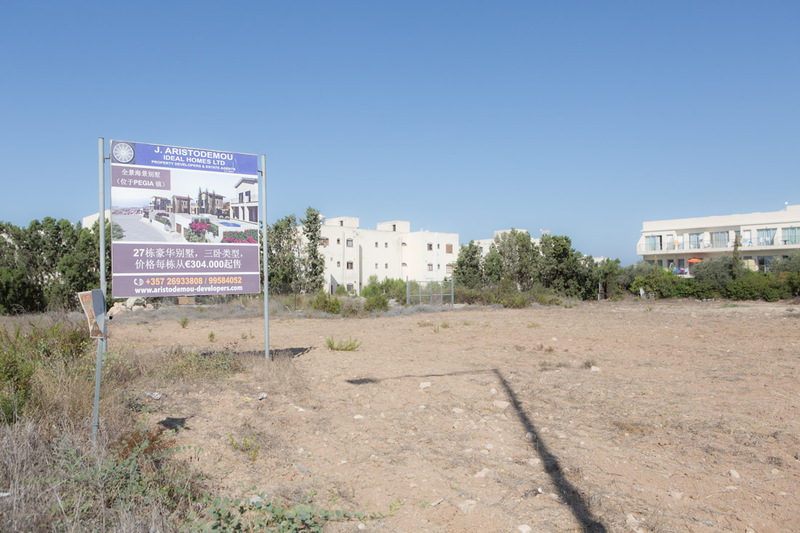 Only in 2013, the most difficult year in the history of Cyprus, the Chinese have invested 300 million euro in real estate. 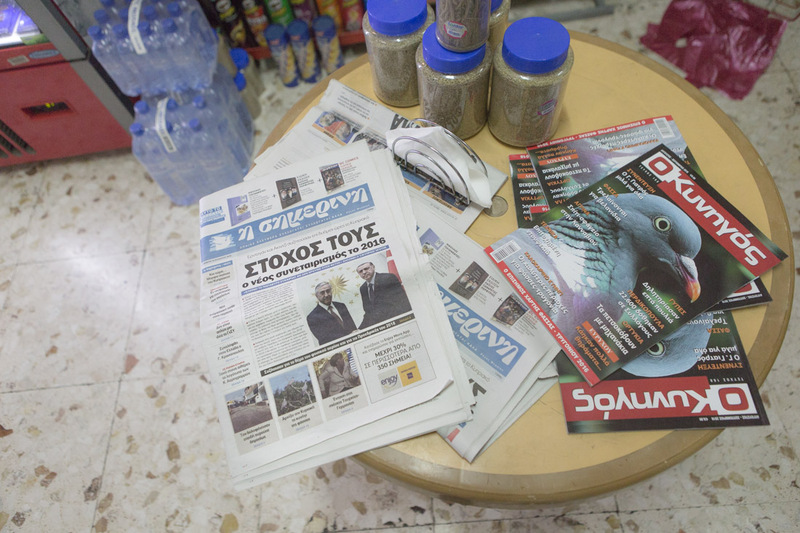 The authoritarian drift of Erdogan in Turkey worries and queries the Cypriot people about the progress achieved in terms of reuni fi cation and cooperation between the two republics in recent months. 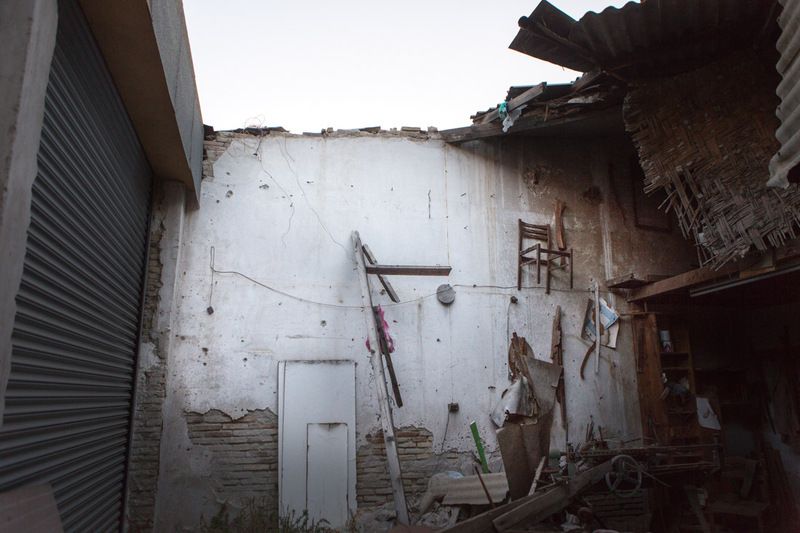 A house destroyed in the Turkish part of Nicosia. North side of Nicosia. A graffiti depicting Mustafa Kemal Atatürk, the first president of Turkey. Nicosia. One of the illegal access points to the buffer zones. 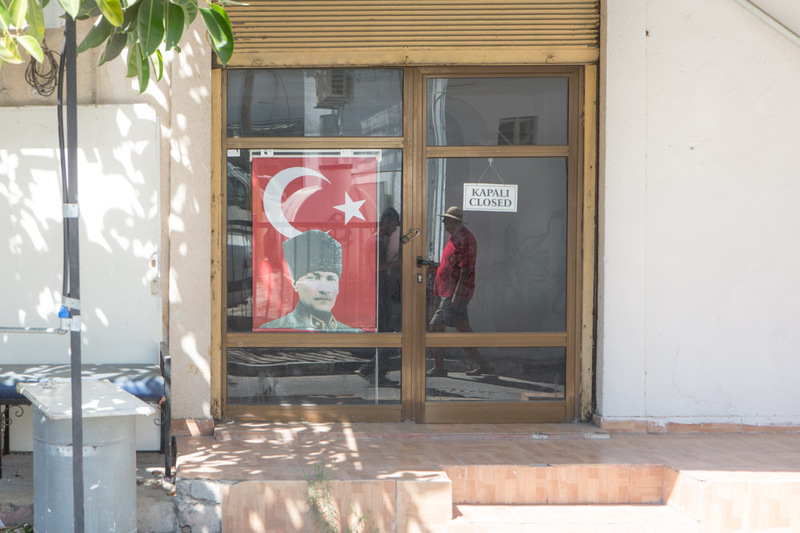 Kyrenia, North Cyprus, one of the many shops closed for years. 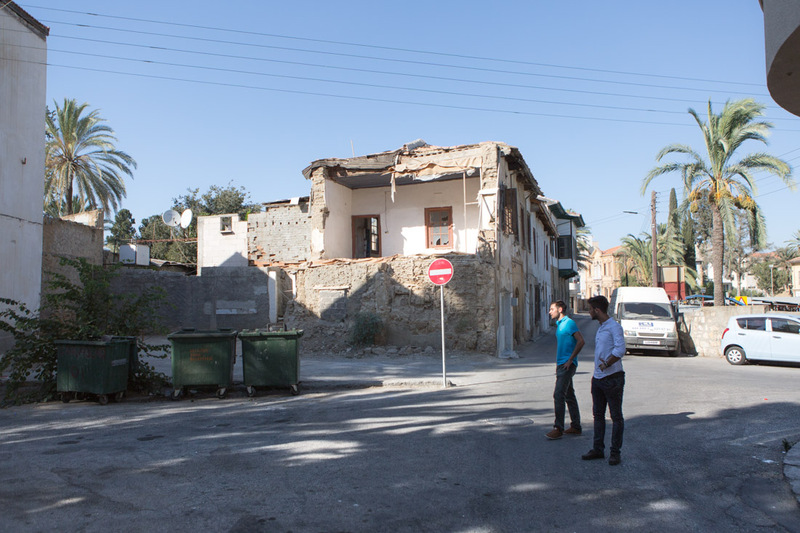 Nicosia north, two Turkish boys walking in front of a house destroyed by the conflict in 1973. 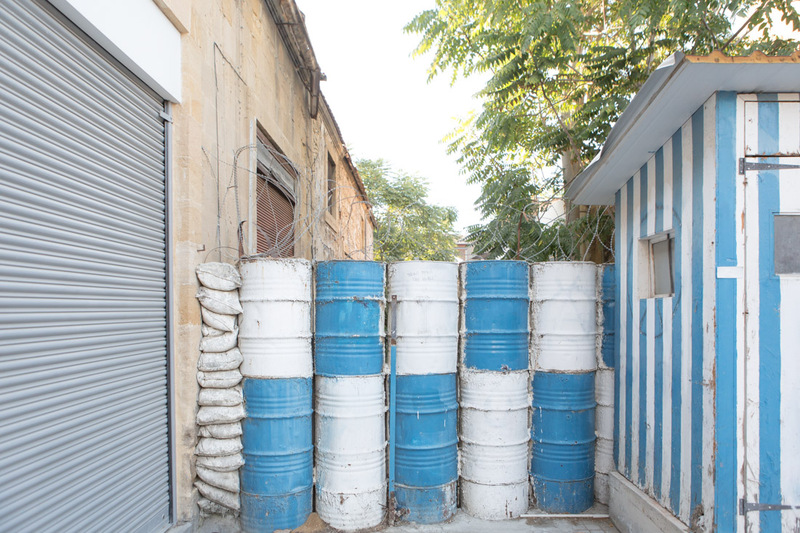 North Nicosia. An old tower under UN control. Inside an old shop placed near the green line. 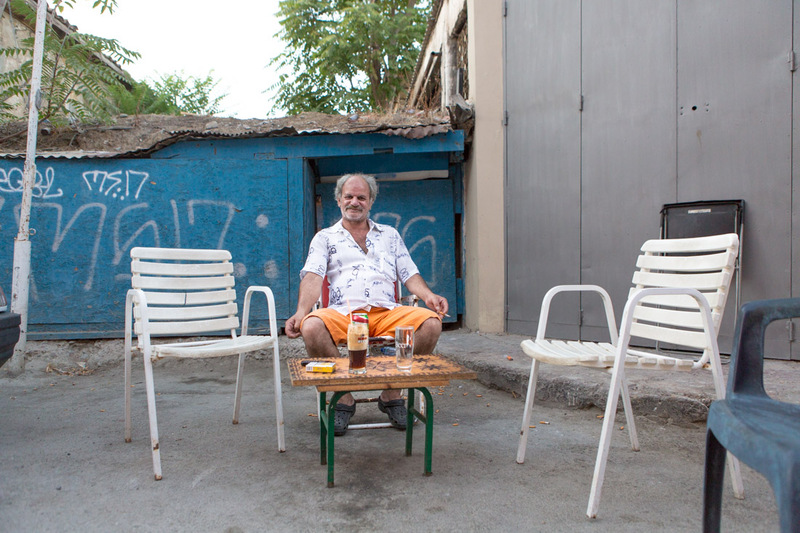 Mihalis, 48, runs a hotel near the buffer zone that needs urgent renovation. The price per room is 15 euro for the week end. Kyrenia. 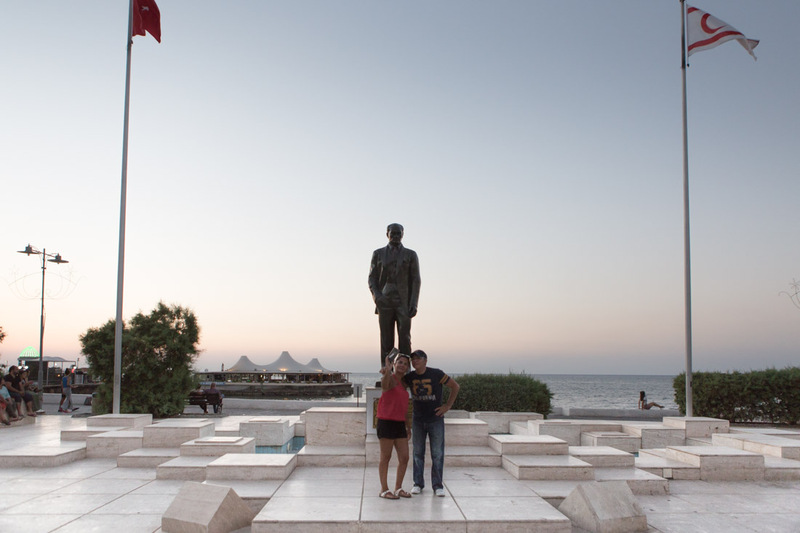 Two tourists posing in front of the statue of the national hero, the turkish Mustafa Kemal Atatürk. 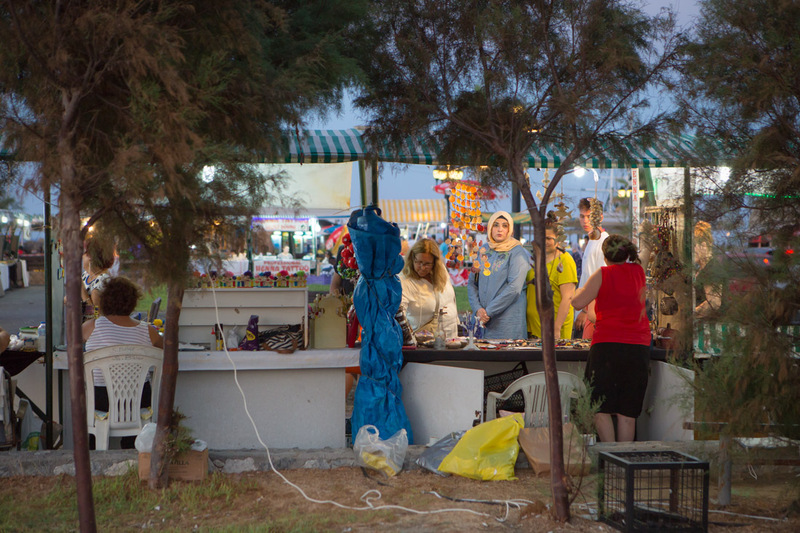 Muslim women to Kyrenia market, in the north of Cyprus. 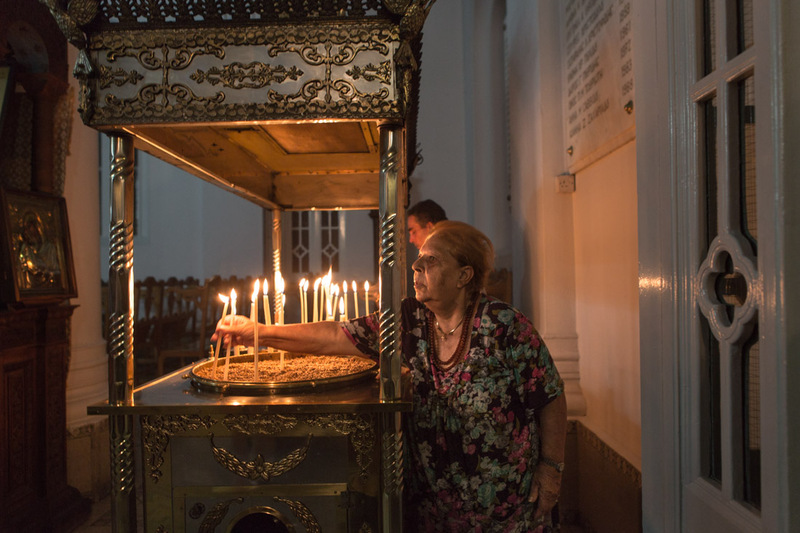 An elderly woman lights a candle in a church. 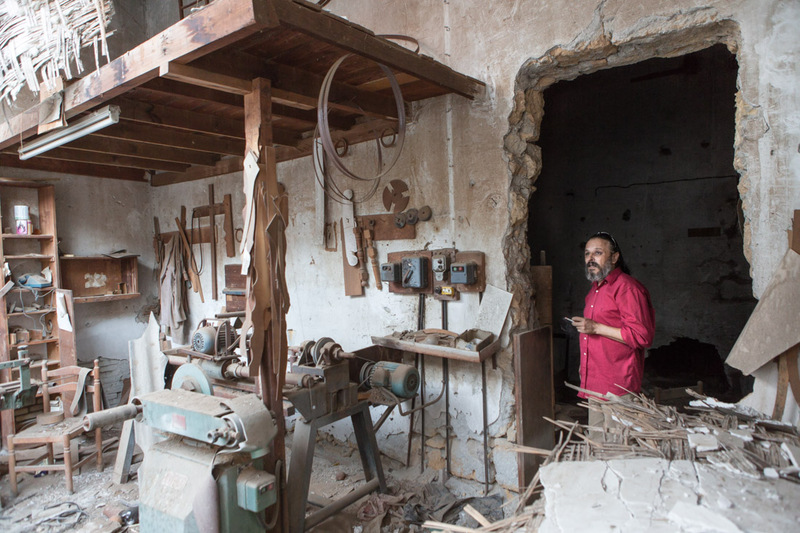 The Orthodox Christian community of Cyprus is one of the oldest in the world. They are the 80% of the island population. 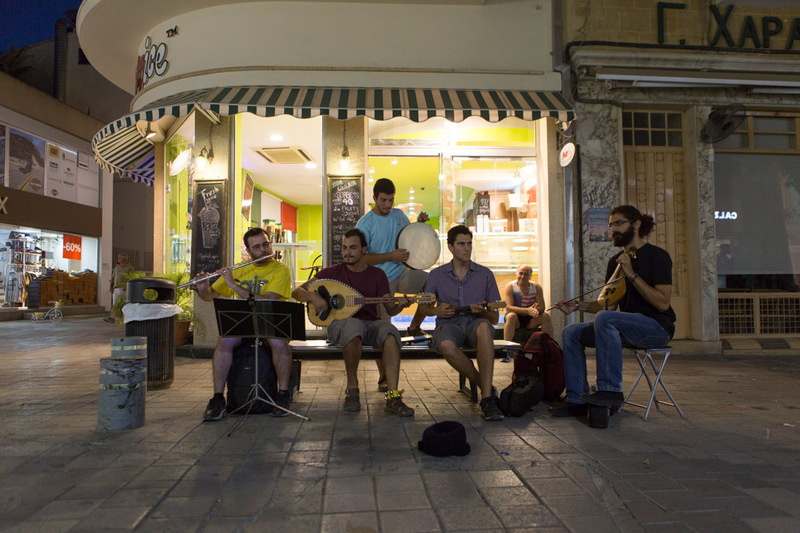 A group of boys playing near the checkpoint of Nicosia songs against violence and the division of the island. 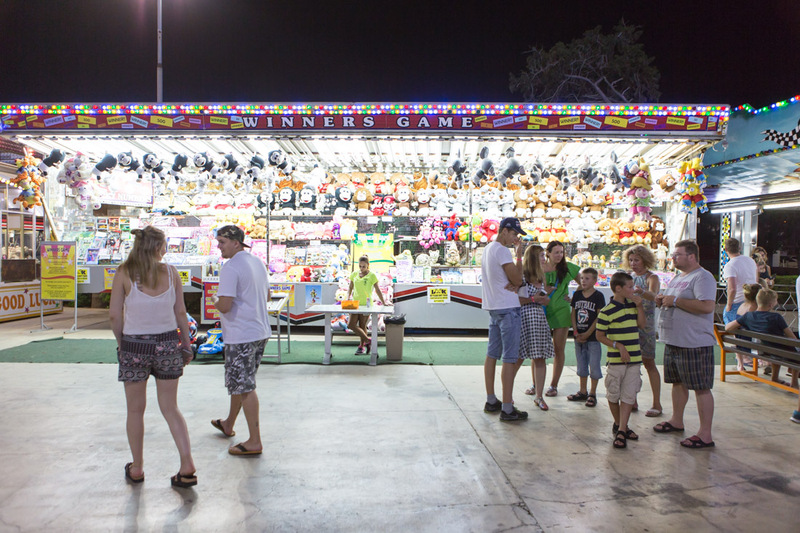 Inside the Luna Park in Ayia Napa. 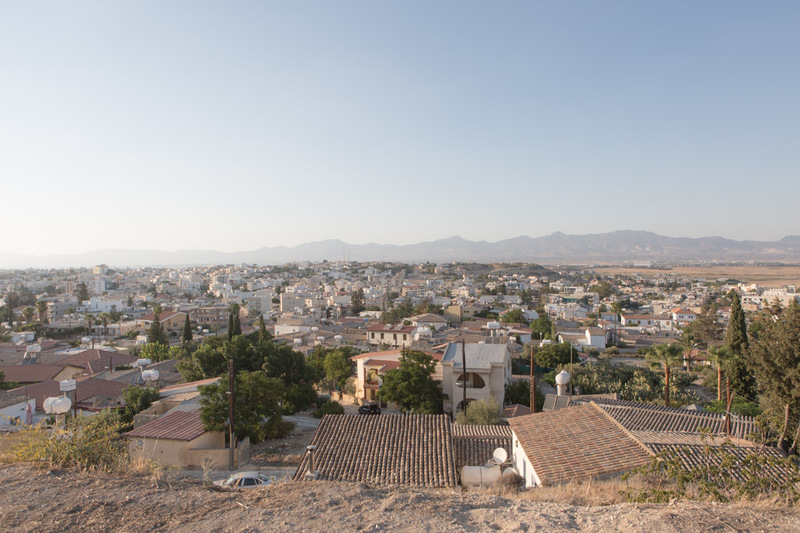 The town, located in the Greek Cyprus, right down a few years ago it was totally unknown to mass tourism and is today one of the most visited tourist destinations and Cyprus. 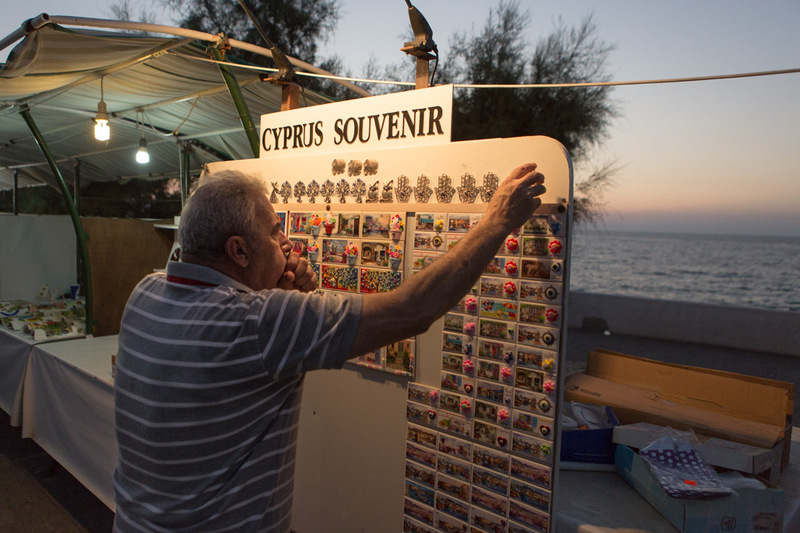 A turkish souvenir seller, in the Kyrenia's port. 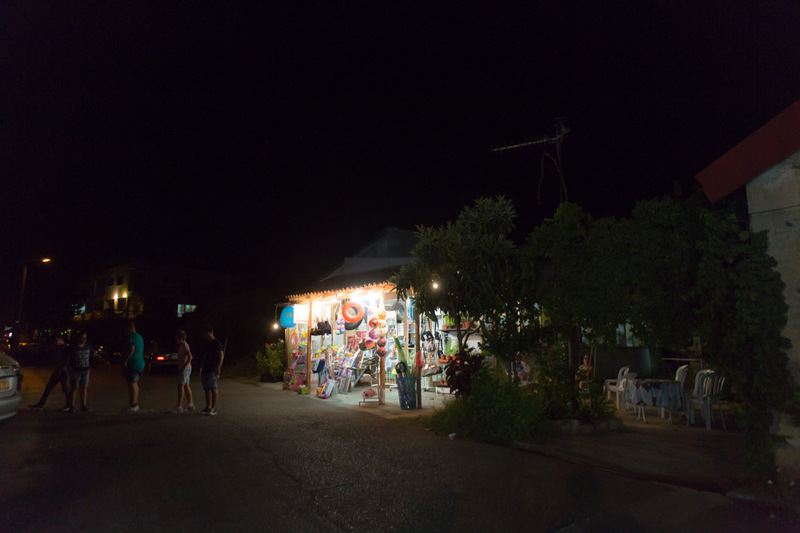 A gift shop in Kato Pyrgos. 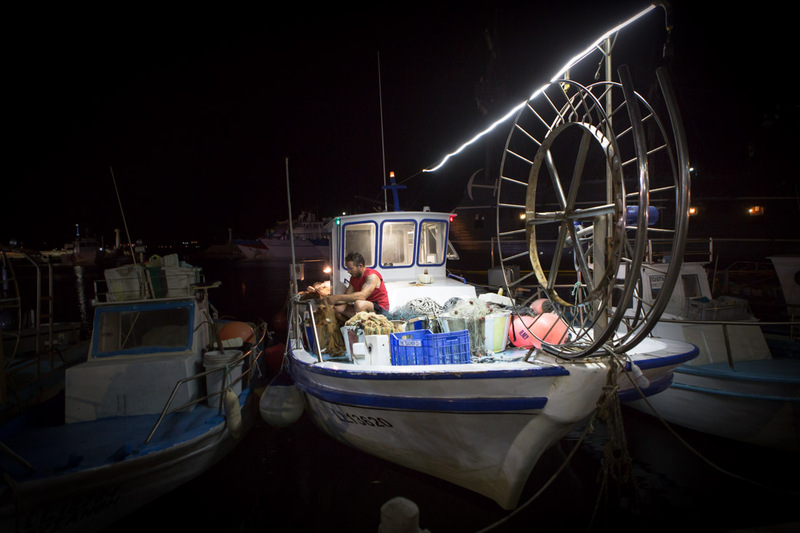 In Cyprus, the art of fishing still uses traditional methods; the collection of sponges is widely practiced throughout the island. 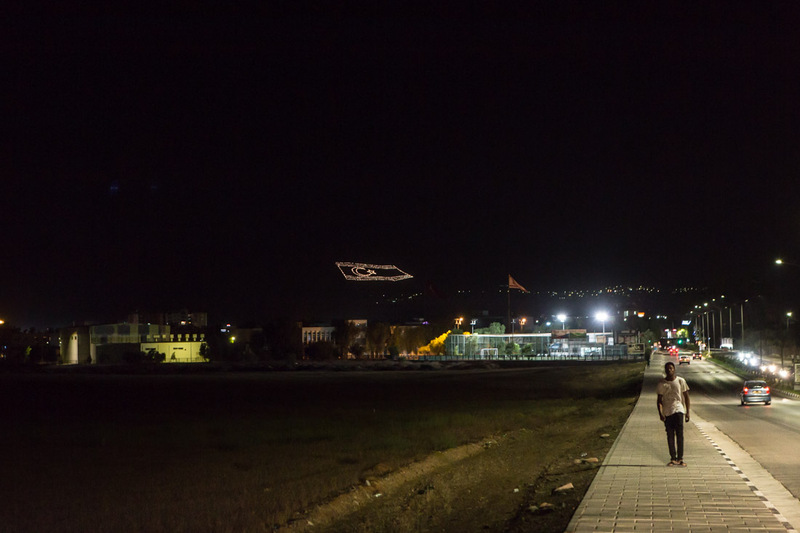 The lighting of one of the mountains of the Turkish Cyprus, representing the turkish Cypriot flag. The history of the island of Cyprus is one of the oldest in the world. Rich in natural beauty, the island is located between three continents, Europe, Asia and Africa, and this has always been considered the land of an extremely strategic geographic position, so it attract the great powers, which, throughout history, have had significant influence on this area. 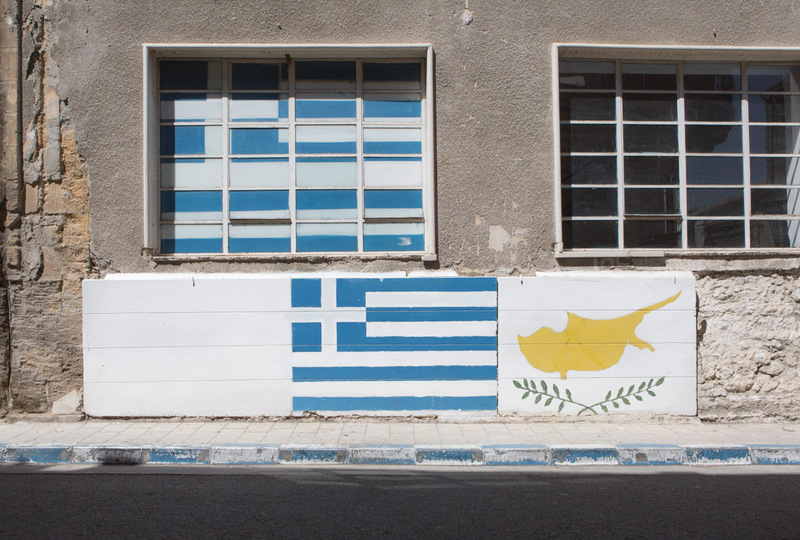 Despite the foreign alternation, the Cypriot people has been able to absorb external influence without ever losing their identity. 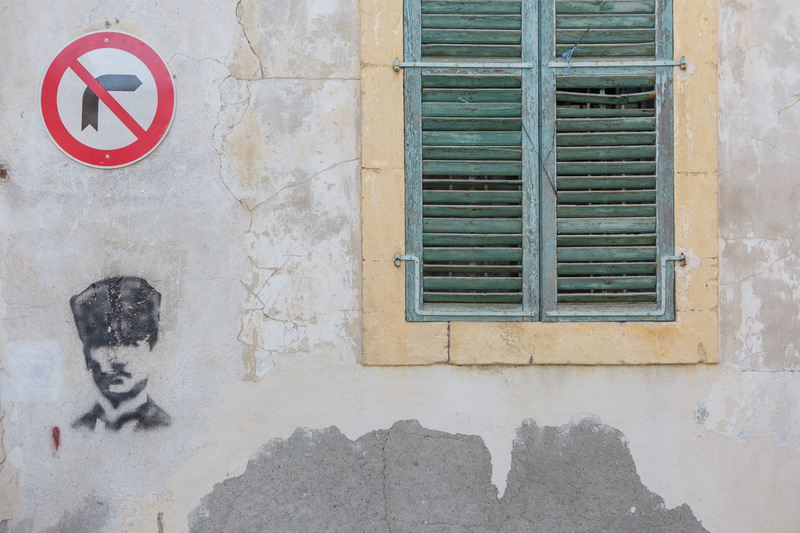 After the end of British colonial era, in 1960 Cyprus became an independent and sovereign state until 1974, the year that marks an attempted coup from the greek state, which followed by the turkish military intervention. 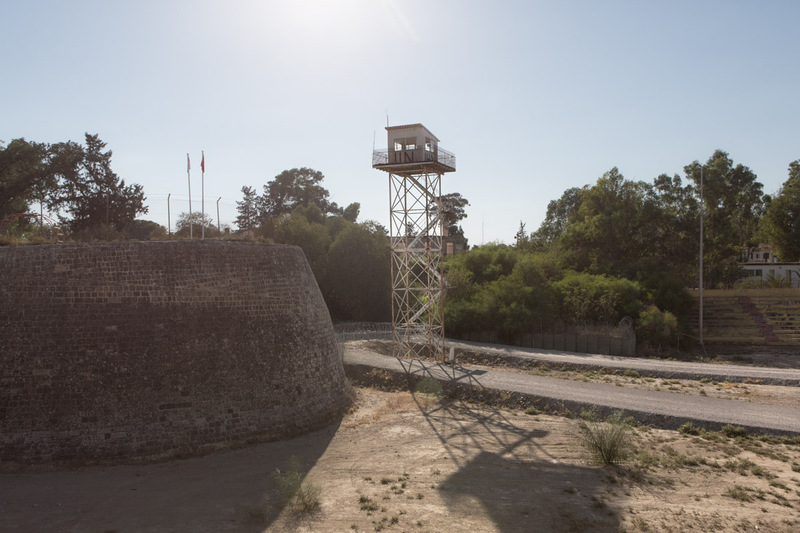 Since that date the whole territory of Cyprus is been divided into two areas: the North State, under Turkish protection, not recognized by the international community, and the South State, with Greek ethnicity, universally regarded as the only Republic of Cyprus. This decades-long division has affected both parts of the country in both political and economic terms until it got to the tough economic crisis that began in 2012. 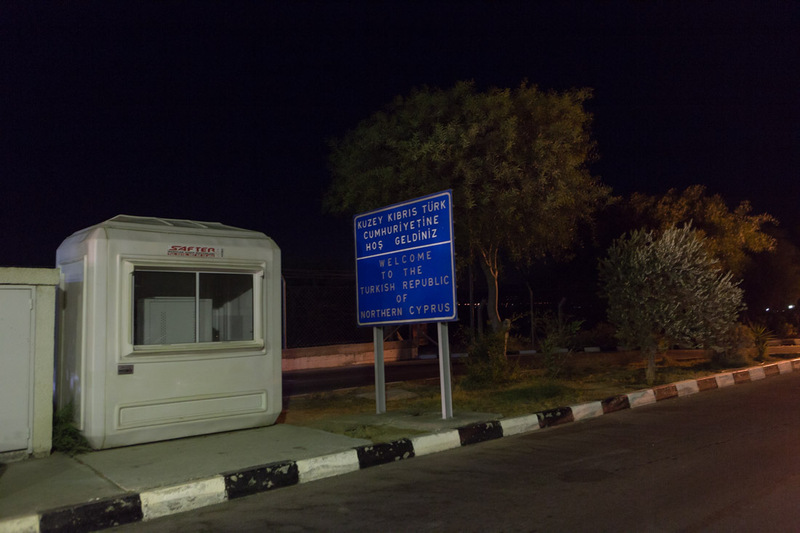 The two republics of the island are still separated by a buffer zone called the "Green Line", marked with signs, barbed wire, sandbags and mined areas. The area is currently manned by a multinational contingent of UN peacekeepers (UNFICYP). In recent months the negotiations between the two entities, greek Cypriot and Turkish, have intensified and despite the failed advanced reconciliation proposals in the past, never as in this moment a new future for the island seems more close and possible.